We spent a weekend at one of my favorite retreat hotels: San Luis Lodges. It was our second time and this time was like a magical winter dream. 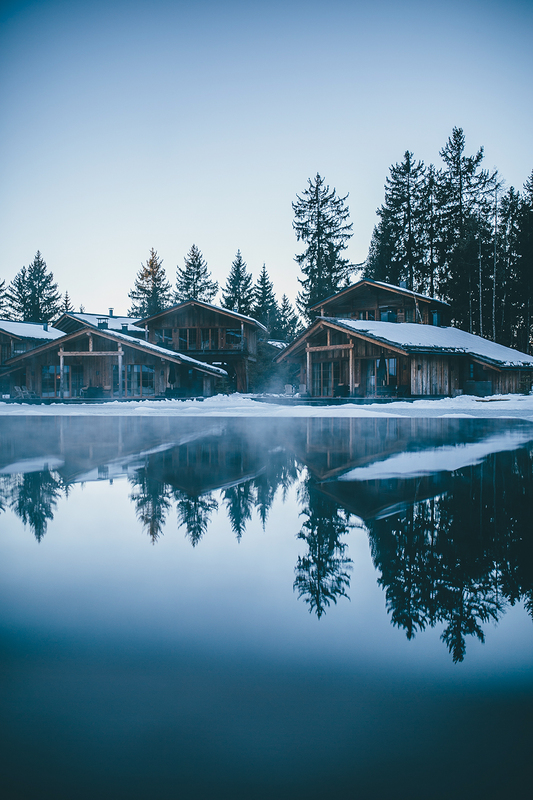 The last time at San Luis Lodges was during autumn and it was such a great experience that we knew we had to go again on our holidays — this time we wanted to enjoy some snow and see the difference between the seasons and indeed: it was totally mind-blowing and as beautiful as expected. My friends from Our Foodstories and I love to travel together and since we knew how beautiful this place was we decided to spent a few days of our holidays together at the same place again. San Luis Lodges is not only a place where you can treat yourself with their unique spa area it’s also a beautiful place with loads of attention to details. There is a public pool inside where you can swim outdoors and enjoy the weather anytime of the year. This is what I call perfect in every way when it comes to coziness, hotel service and the natural environment by which you are surrounded during your stay. It’s located in Hafling close to Meran between the woods and mountains where the sun shines 200 days a year. You can choose between a treehouse close to the woods or a chalet. 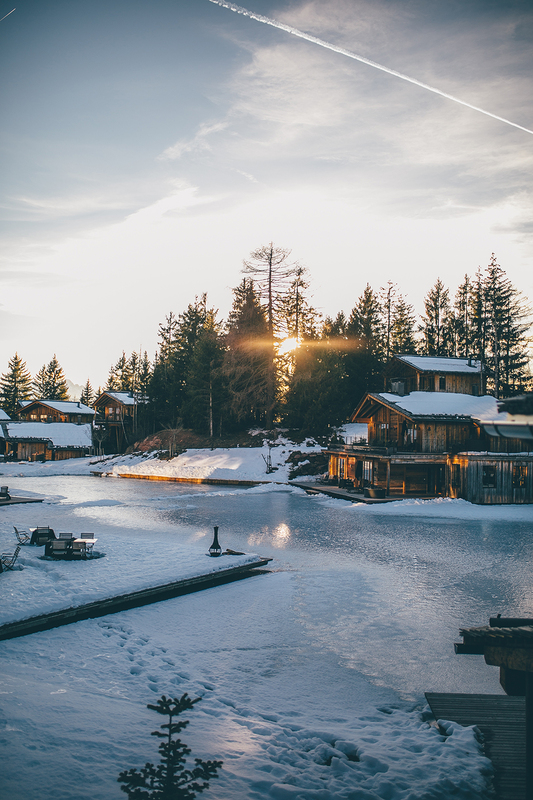 Most of the chalets are next to the little lake where you are allowed to ice skate in wintertime. 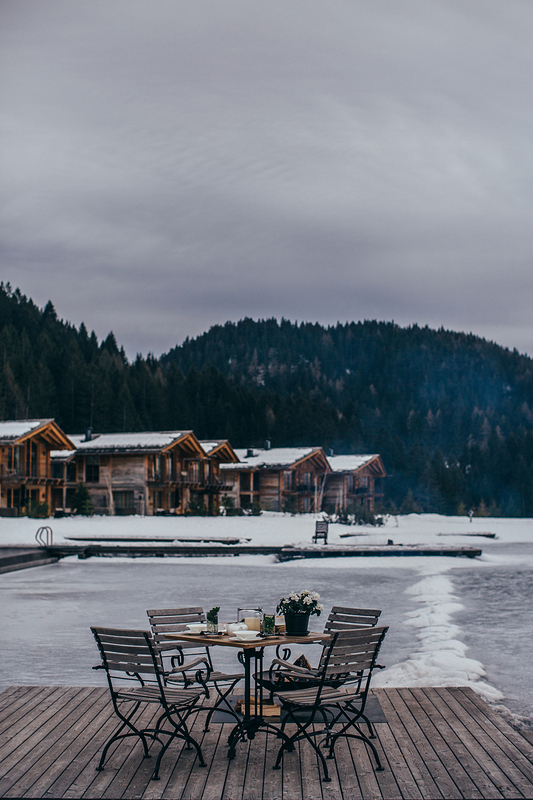 Every house has his own fireplace which you can light anytime you want and the chalets have their own jacuzzi on the terrace with a lovely view. Especially in winter it was such a relaxing feeling to be in the hot water and see your breath at the same time. The sun was shining all day long and there was still snow everywhere — what else could you ask for? As you already know I’m a huge breakfast lover. 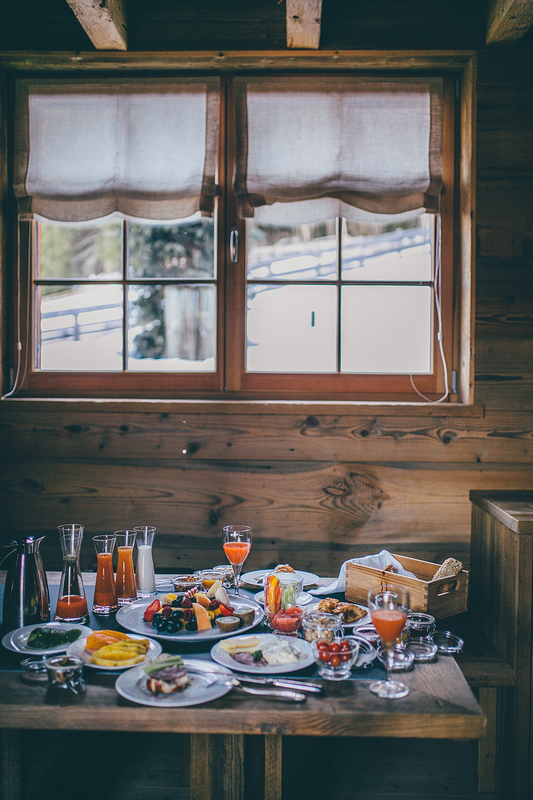 In the mornings there is a buffet in their restaurant where you can enjoy many different spreads and toppings from sweet to savory or you can order it to your house. They offer many options for allergy sufferer not only for breakfast but also for lunch and dinner in the evening. At lunchtime you have the option to have a warm meal à la cart or a buffet again with lots of different tapas and salads. I love the mix of their Italian and Austrian cuisine. In the evening you have a menu where you can choose a four course meal and a wine cart with an amazing selection. See yourself in the pictures what a dreamy place it is and make sure to visit San Luis as soon as possible — it is worth it so much!